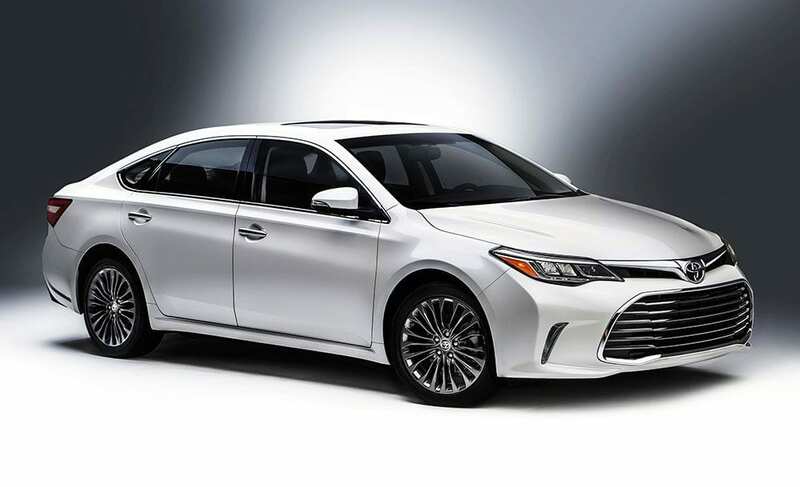 Home Bumper to Bumper 2016 Toyota Avalon Hybrid To The Rescue! 2016 Toyota Avalon Hybrid To The Rescue! It had been a long journey. Two days and nights in an Amtrak roomette from Dallas to LA, followed by coach seats to Oxnard CA. My husband and I were attending a travel writers’ conference at Embassy Suites Resort at Mandalay Beach. Most seminars were at the hotel, but we were bused around town for special events. We even took a bus to San Luis Obispo County (SLO) for a two-day post trip. We stayed in Morro Bay with side trips to Cambria and Atascadero. While in Morro Bay, a moonlight boat excursion on a Chablis Cruise took us around Morro Rock. This extinct volcano had just that week, been the focus of national news stories. A 27-year-old man had to be rescued from the rock he had climbed to propose in dramatic style to his sweetheart. He also was slapped with fines for climbing the 600 foot rock and had to pay for the helicopter. That might make a dent in the wedding/honeymoon budget. It sounds like his marriage plans may be off to a rocky start! All this time we were in public conveyances, which is very different for Texans. We’re used to driving ourselves, going where we want and when we want to go. Finally we took another Amtrak back to Oxnard for a scenic view of the Pacific Ocean. This was terrific, since it’s difficult to enjoy beautiful scenery when you’re supposed to watch the road. Taking delivery of a 2016 Toyota Avalon Hybrid for our return journey to Dallas made us ecstatic. The car promised freedom. No longer dependent on mass transportation, we were kings of the road in our silver metallic sedan. The hybrid boasted all the latest technology, 10 airbags and other primo safety features. We also had Sirius Satellite radio and easy to operate navigation. First stop, Barstow CA, where we found Stater Bros., a friendly, family-owned grocery store with more to offer than the local Wal-Marts. After stocking a cooler with ice, water and other beverages, we were ready to choose our own adventures. We felt like kids out of school. Our next stop was a deluxe Best Western Plus in Williams, Arizona. We had reserved tickets to take The Train from Williams to the Grand Canyon’s South Rim the next day. While the return trip was interrupted by a gang of masked robbers, it was still a lot of fun. Passengers in our coach car listened to an informative narrative (and some corny jokes) from train attendant Conya Rae. Soon we were awed to silence by the incredible scenery as we drew close to the rim of the Grand Canyon. Words can’t really describe the spectacular scenery viewed from the canyon. It left us speechless and took our breaths away. We later recovered enough to enjoy Navajo tacos and other delicious food for lunch in the elegant dining room of the historic El Tovar hotel. With windows overlooking the canyon’s south rim, the views were still stunning. That night back in Williams, we were treated to some fancy guitar playing in the lounge of our Best Western Plus. Virtuoso player Omar Mondragon de Leon strummed and sang some of our old favorites, making fans of everyone in the lounge. The next day we set off for a trip to Tombstone, Arizona. Another reason to love travel by automobile, as opposed to public transportation, is you can pack the car with stuff you wouldn’t dare take on a boat/train/plane or bus. It didn’t take long before the Avalon was fully loaded with souvenirs and other essentials. 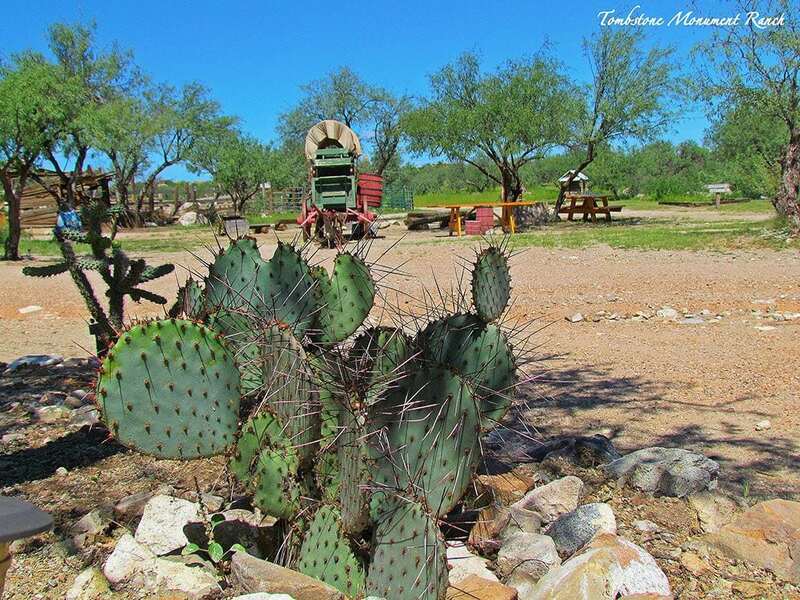 We were spending the next few days at Tombstone Monument Ranch. Horseback riding, hiking, Cowboy breakfast, campfire sing-alongs, and two-steppin’ to a live country music band were all on the menu. So boots/jeans/Stetsons and other Western apparel was obviously needed. Since the desert air cooled after dark, a jean jacket was added to purchases in nearby Tombstone. While visiting the historic town of Tombstone, we saw a re-enactment of the gunfight at the OK Corral. But we learned the gunfight didn’t really happen at the corral, but on a downtown street. We also saw re-enactments of other less famous gunfights that took place in the area. We began to understand that life was a pretty cheap commodity in Tombstone. A visit to the old Boot Hill cemetery just outside town confirmed this fact. Few of the folks buried there died bootless. We only saw one gravestone that read “died of natural causes.” One read “hung by accident,” while others said “killed by (insert cause: gunshot, knife, hanging, rattlesnake, etc.”). Quite a few of them were marked “unknown,” which meant their loved ones back home probably never knew what happened to them. Most photographed of all the tombstones were the three graves of the two McLaury brothers (Tom and Frank) and colleague Billy Clanton. They were killed in the infamous gunfight with the Earp Brothers and Doc Holliday. Nearby was the grave of the Clanton’s patriarch, Ike Clanton, killed in an Indian ambush. Our room at Tombstone Monument Ranch was in a recreated old West town, with wooden sidewalks and dirt roads. Ours bore the title “Miss Kitty’s Bordello,” while others were “Jail,” “Post Office,” and “Newspaper.” The décor was in keeping with the Old West motif, but thankfully the plumbing was indoors and quite modern! One of my favorite events at the ranch was breakfast with Arizona Bill, whose stories about prospecting in the desert and the treasures he’d found over the years were fascinating. His Cowboy Breakfast, cooked over a campfire, was really good. Bill served thick slabs of bacon, sausage, cheesy and spicy scrambled eggs, hash browns, biscuits and sausage gravy with some strong coffee. After striking silver, Frank became quite wealthy. He named the town he founded in 1879 “Tombstone” in keeping with the soldiers’ warning. He asked to be buried under the huge rock monument outside town. After several sunny, relaxing days at the ranch, we loaded up the Toyota with more souvenirs from Tombstone. This time we headed to South Texas. We planned to spend a few days in Rockport on the Gulf Coast. Our Rockport visit was made especially memorable by Rusty and Jennifer Day, who own the historic Angel Rose B&B. We were privileged to spend two nights in their lovingly restored 1881 home. Rusty, who’s also a City Councilman, proved to be a knowledgeable historian and story teller as well as a fine chef. We had eggs benedict one morning and blueberry waffles the next, along with fruit cups, juice and coffee. It was finally time to load up the trusty Toyota once again. With even more souvenirs, books, maps of waterways, and a few recipes, our sedan was almost as fully packed as a covered wagon. Obviously, it was time to go home….if only to unload and wash the car! We also had accumulated several loads of laundry on the 18 day trip. The 2016 Toyota Avalon Hybrid proved to be the perfect vehicle for our return trip of 10 days and 2301 miles. The hybrid fuel economy averaged 40 mpg, so gas stops were thankfully infrequent. The Avalon’s 2.5 liter 4-cylinder DOHC with Hybrid Synergy Drive System purred along so quietly it was hard to tell it was even turned on. But turned on it was! We made great time on the highways of California, Arizona, New Mexico and Texas where speed limits were 75-80 mph. The Avalon Hybrid is highly recommended for anyone planning a lengthy road trip.